If you were a school bus, what would you sing? There's only one right answer: "The wheels on the bus go 'round and 'round/All through the town." 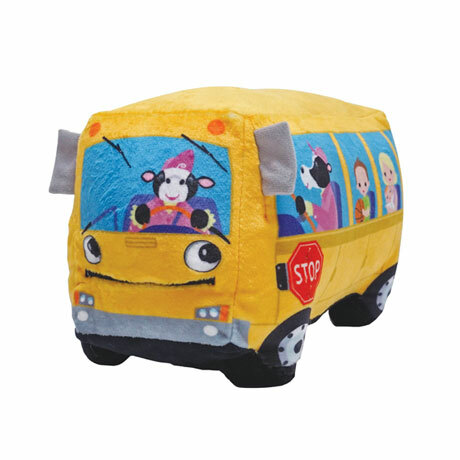 Soft, cuddly yellow bus with cow driver lights up and dances as it sings. Polyester plush. 9"w x 8"h x 5"d. Takes 3 AA batteries, included. Ages 12 mos. and up.